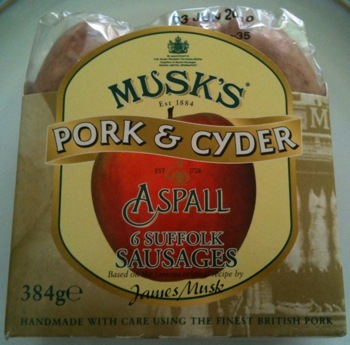 My love of Musk’s sausages goes back to when I was a child. My Nana used to provide me with four (yes 4, as she wanted me to grow up big and strong) as part of a breakfast when I stayed at her house. They have a classic appeal which cuts through the ages. Still loyal to the recipes from over 100 years ago they taste great at anytime of the day. They are a solid part of my sausage armoury at home and a reliable and tasty treat for all the family. Regular readers will know they were the first destination on The Sausage King Adventures! Until I saw the extra ingredient in Musk’s latest offering I didn’t think it would be possible to improve them. Aspall is my other favourite Suffolk export. I’ve not come across a problem which can’t be resolved over a pint of the good stuff yet! It is perfect for a celebration, refreshing in the summer and warming in the winter. 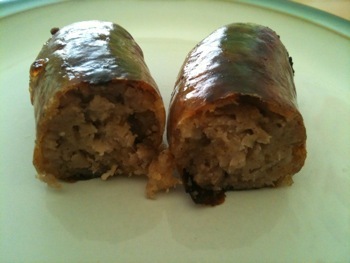 To add such a tonic of the gods to one of the finest sausages in the UK is a stroke of pure genius. Genius I tell you. 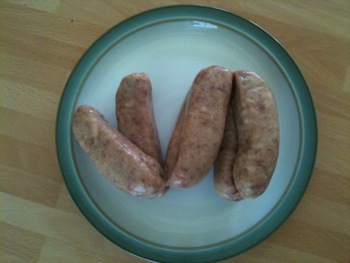 I love the coarse cut meat in a Musk’s sausage and these lived up to expectations. As they cooked the smell got nicer and nicer. The Aspall has been applied with a steady hand and the sausage is perfectly balanced. The spices in the sausage, alight with cyder, take on a whole new perspective. Often cyder in a sausage can be overpowering or cause excessive sweetness, not so with these beauties. To say I like this addition to the Musk’s product range is an understatement. I would go as far as to say I was a bit disappointed I had to share these lovely creations with the rest of the family! The best place to buy Musk’s is their website. Click here to visit their site. Or right now (Wednesday 2nd and Thursday 3rd June) you can visit them at the Suffolk Show and try these sausages for yourself.